It has been nearly a year since my last post so I decided to finally start back up again. To catch you all up, throughout my college decision process I ended up choosing the University of Kansas. I chose the school for many reasons but my main reason was because of their great International Studies and Eastern European Studies programs. Not to mention the campus is absolutely breathtaking and of course, the basketball is to die for. Kansas was a pretty far move for me, but I am loving every second of it! Since being here I have been very busy with school and I have also rushed a sorority (Alpha Chi Omega), which has been an incredible experience. Kansas is very different from back home but I do not regret leaving at all. I needed to get out of my comfort zone, spread my wings, and explore something completely new and different. With that said, Thanksgiving break is just around the corner and there are no words to describe how excited I am to be reunited with my family even if it is just for a short while. 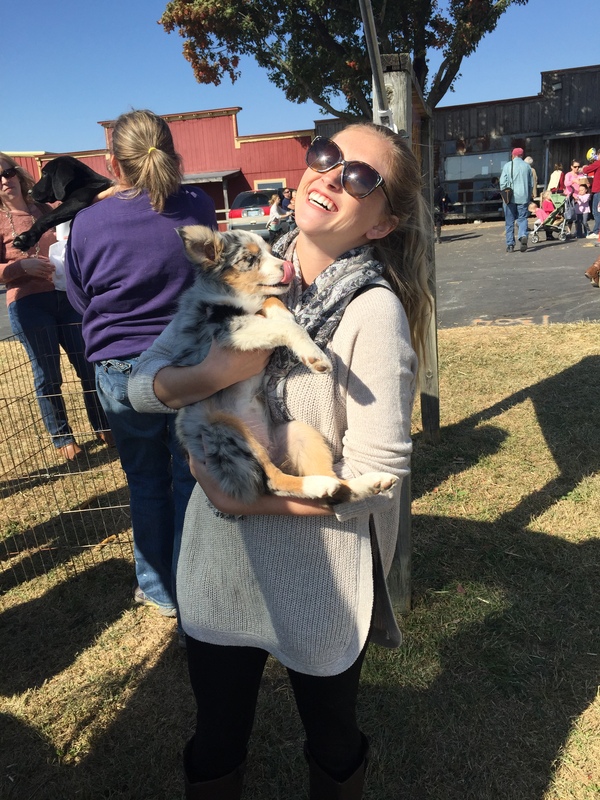 There will be more posts to come about adjusting to college life, sorority rush week, and other topics… but for now I will end this post with a picture of me and an adorable pup from the Louisburg Cider Mill.